Both films will be distributed by Kew Media and in Michael J. Kirk's "Mr Nelson: On the North Side," Prince's musical mentor Spike Moss, opens up about the star's roots and the influences that shaped his musical skills. 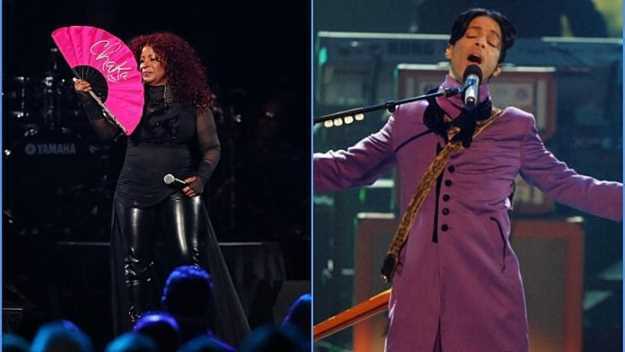 Icons including Chuck D, Macy Gray and Chaka Khan will be making appearances in the project to share private anecdotes about Prince and how he inspired them. Another project in the works, "Chaka Khan: Keep On Holdin' On" will tell the life story of Chaka Khan, and will not just focus on her musical career but also include her time as a civil rights activist and member of the Black Panther Party. Ahead of her documentary's debut, the 10 time Grammy Award winner has been busy working on new music in the studio. Her latest single Like Sugar, which is the Queen of Funk's first new track in over a decade, recently won two awards at the UK Music Video Awards. Congrats to my team that worked so hard to make the first single of our new album & music video so successful. "As always, quality, diversity, and universality are top priorities for us when assembling our slate," said Jonathan Ford, EVP of sales, at Kew Media Distribution says about their new line up of films. "It's about being in touch with content wishes of audiences around the world and finding the films that connect." According to Variety, "Another music feature documentary from Kew and set for a launch at the AFM is "Long Live Rock...Celebrate the Chaos," about the world of rock fandom and the relationship between fans and artists."